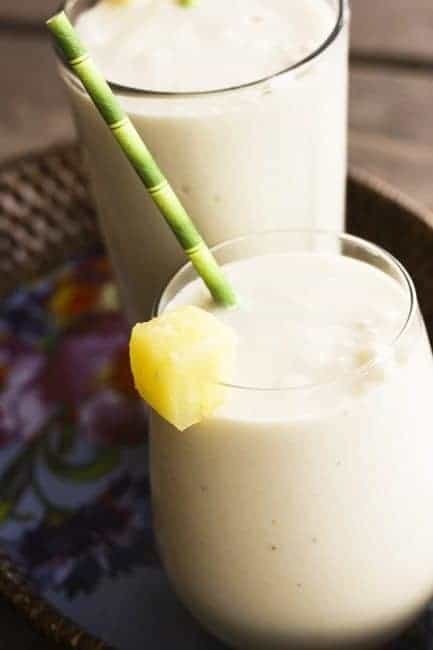 Piña Colada Smoothies are my new go-to smoothie. They’re kind of fabulous. You know how I’ve told you I was a picky eater when I was a kid? I was a total texture-phobe and I was dead picky about flavour combinations. My mom now says, “Hey, we just didn’t know you were gourmet.” My mom is the Queen of the Euphemism. I must’ve been a righteous pain in the rear to feed. The reason I’m confessing this (again) is that pineapple and coconut were both on my no-fly list. I didn’t like pineapple because of the stringy texture. I didn’t like coconut because the sum exposure I had to coconut in Northern Michigan in the 70s and 80s was the über-sweetened stuff in the middle of Mounds candy bars or in a macaroon. Both grossed me out, so piña coladas were a serious no go. Fast forward to now and my insatiable desire to eat both of those ingredients. (Okay, I still dislike sweetened coconut flakes, but honestly, can you blame me?) I love the fruity, tangy, acidic pineapple AND its texture. I can’t get enough coconut milk -which I’m pretty sure is an ingredient given to humanity by the grace of God-, fresh coconut or unsweetened coconut flakes. And piña coladas? Well, until recently they were still on my no-fly list because -frankly- I don’t really like alcoholic smoothies, which is what I always viewed piña coladas as being. Pardon me while I go bang my head against the wall for a moment, would ya? Howzabout just omitting the hooch, dingbat? It’s warming up out there, friends. You need this in your lives this summer. Double Bonus: If you have leftover smoothie (HA. Like that would happen here unless I plan for it.) you can freeze it in ice pop molds for some wicked good popsicles. You are welcome. Mwah. 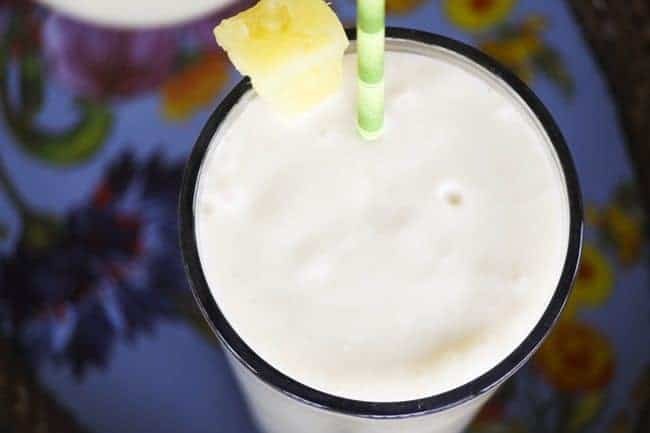 These super creamy, indulgent tasting, family friendly pineapple and coconut Piña Colada Smoothies will transport you to the tropics in a matter of minutes. 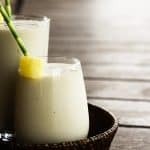 Using only 3 easy-to-find and healthy ingredients just boosts the appeal of this naturally vegan, dairy-free treat!If you've got a hankering to make this a true piña colada, you can stir in a shot of rum before serving. Add all ingredients to a blender and blend on high until smooth. Divide between glasses and serve immediately! Leftovers can be frozen in ice pop form. 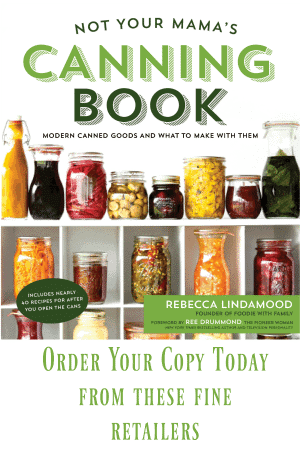 How many ounces should the cans be? This sounds so good and fresh. I want! I’m making them again for lunch! These are so fun!! Really makes me want to be somewhere tropical and not here, with 2 feet of new snow! I know. I made them the first time when we were having a whiteout. Sigh. Let’s just close our eyes and pretend it’s warm, Tieghan! Do have any suggestion for a subsititutioc n for the bananas? I am allergic to them but would love to have a smoothie. Well? That’s tricky. The bananas provide sweetness and thickening power. You could thicken it with ice, but you’d need to adjust sweetness to taste. 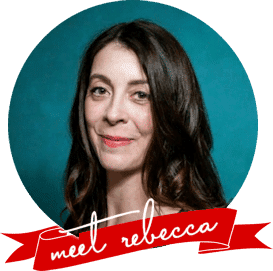 I was going to ask the same thing as I am also allergic to bananas – for thickening, maybe 1 tsp of ground chia seeds and then light honey or agave for sweetener plus some ice? Love love love. Totally making this! Made this to freeze the other day, and ended up drinking it for lunch instead! Muy delicioso! Uh, how have I never thought to freeze leftover smoothie before today?? A thousand thank yous for that touch of genius. Also, these look delicious! Gosh, I think that sounds pretty tasty!!! Go for it and let me know how it tastes! This is totally fabulous and refreshing! It’s so funny how much your taste evolves as you get older. I’m a huge coconut fan, I would love to have this 🙂 it looks so refreshing. Is this high in calories? I’m not sure! There are some good calorie calculators findable on Google if you have health related concerns about calories! I tried it and enjoyed it! Yummy! Thanks for sharing. I also tried adding 3/4 cup fresh strawberries and 3 tbs. chia seeds with good results. Any way to avoid stringy pineapple? If you have a killer blender (read: Blendtec or Vitamix) there is no pineapple string that can stand up against it!